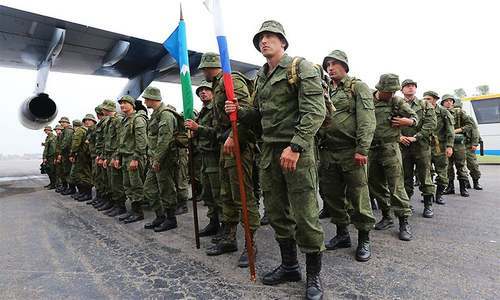 Azerbaijan President Ilham Aliyev addressing a joint press conference alongside Prime Minister Nawaz Sharif on Friday said both countries have discussed plans for joint military training between their armed forces. 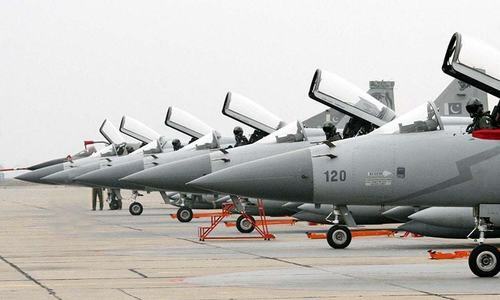 "Pakistan has a very developed defence industry. We discussed detailed cooperation in this area... So we can work together to establish joint production," said President Aliyev. The Azerbaijan president said both countries had discussed plans for joint military training as well. "Political contacts will continue," he said, and both countries have discussed how to increase levels of trade. "What we can export to each other will be closely addressed in the coming months," he said. President Aliyev also stated that travel between the two countries would become easier after an electronic visa system was implemented. Prime Minister Nawaz Sharif called for all regional and global issues to be resolved through dialogue and peaceful means and within the international laws. "Our mutual support on the issue of Kashmir testifies to the close understanding of our two countries. 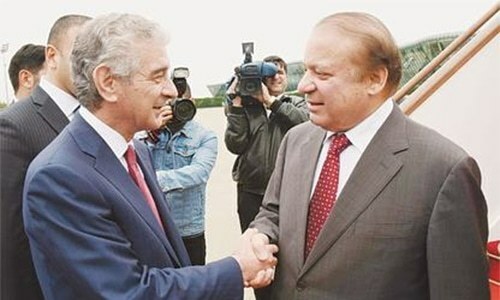 I appreciate Azerbaijan's support for Pakistan's stance on Kashmir which calls for resolution through dialogue and peaceful means," the PM said. "The mutual support should remain firmly in place," he stated. "We have signed a joint declaration that depicts our mutual stance to diversify our diplomatic relations. We seek to further our relations in the fields of economy, investment, trade and finance," he said. Later in the day, Prime Minister Nawaz received an honorary doctorate from Baku State University. 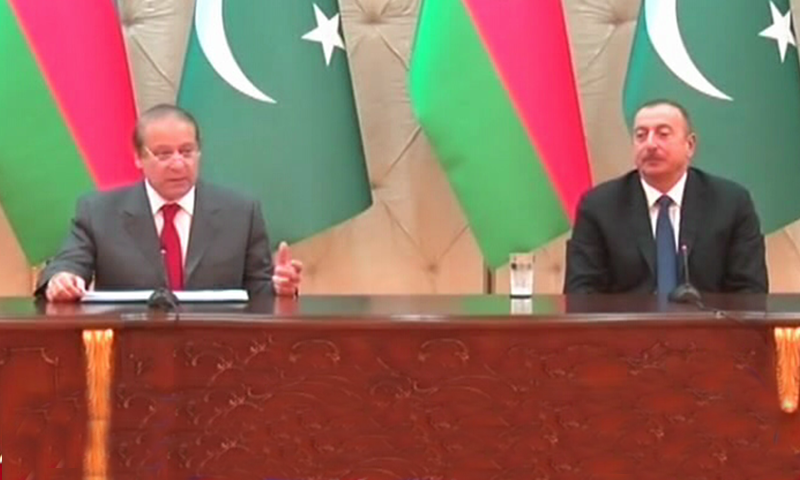 This is PM Nawaz's first visit to Azerbaijan on the invitation of President Aliyev. He is accompanied by a high-level delegation and will hold talks with the president and prime minister of Azerbaijan. Economic cooperation, including trade and investment, are to be the focus of their talks. They will also exchange views on regional and international issues of mutual interest, with particular attention to the situation in South Asia. We must cooperate with other countries in the fields of education, infrastructure, health care etc and not just military exercises. PM is doing good to visit Muslim nations and planning to conduct Military training and other types of co operation . Azerbaijan and other regional countries will also benefit. Pakistani military is one of the best in the world and I am sure their expertise will help other Muslim nations in the long run. Fantastic achievement by our PM - Azerbaijan leader is our friend. We are not isolated. Does Azerbaijan have an army? Can we cooperate in science and technology.why is it military coperation always. Excellent move. Cooperation with our Azeri brothers and sisters should be interesting! Yes. Keep up the good work. It will get you somewhere. Don't know where but somewhere. Please explain geography of Azarbaijan to Pakistanis. 90% dont know .